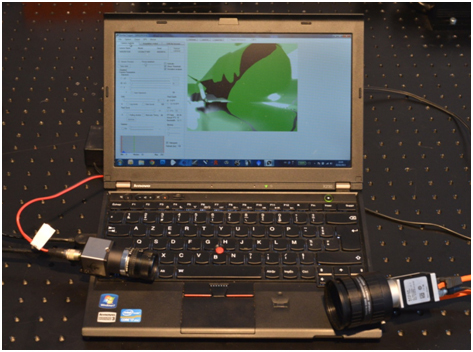 The Genika workstation is an integrated solution for synchronized multi angle image acquisition. Genika Trigger software manages up to three cameras simultaneously on a single laptop to deliver images that are synchronized between each other for further 3D or multi angle analysis. A camera maybe be slave or master. The master camera analyses the image stream and commands the slave cameras for acquisition when a smart trigger has been detected in the master camera images. The hardware trigger from the master camera insures a high precision synchronization for both the slave camera images: acquisition starts within 100µS for all slaves. Cameras may also be trigged together by an external signal, all being in slave mode. An optional GPS external module with PPS output can resynchronize the images within the image files with a precision of 1ms against the GPS time. Master camera : up to 200 MB/s on the fly stream analysis depending on the smart trigger.